EU-Gippo, How San Marino Averted Disaster……. – The Tundra Tabloids……. EU-Gippo, How San Marino Averted Disaster……. OK, so I doctored the picture a bit, it should actually read EUGIPPO, after the 6th century monk who is credited with having first mentioned -in a letter- the existence of San Marino’s as a community. 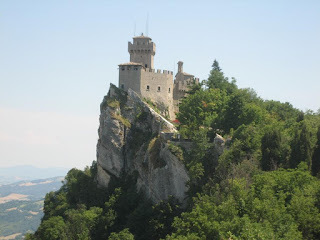 What is of interest to me about San Marino, -one of the places I visited while on vacation in Italy- is the stubbornness of the people in safeguarding their hard earned freedoms from “the outsiders”. The people of San Marino, -a tiny sovereign enclave in the northern region of Italy- claims the distinction of being the oldest constitutional republic in the world, and they have fiercely guarded their independence for centuries, and at times, against all odds. Perhaps these decedents of the founders of the tiny micro-state, can offer the rest of us Europeans a fine example of what it means to be proud of our heritage, and to safe guard our hard earned freedoms…and at all costs if necessary. So the precedent has been there for some time now, that if a tiny micro-state like San Marino can maintain its cultural and political identity, so can the rest of Europe as well. The history of San Marino has also something else to offer us in the way of a warning. If we become complacent in our desire to safeguard our hard earned democratic freedoms, and no loger value our liberal principles, we are in danger of losing it all. After the signing of the Protection treaty between the San Marino Republic and the Holy See in 1602, the republic’s civil society went through a serious decline, with a general lack of interest in public life. The level of interest in maintaining their own cultural identity and relevance also took a nose dive, with many of the important leading family members leaving the republic for elsewhere. It was a 17th century brain drain, which in the TT’s opinion, comparable to the lack of interest of the general European population to reproduce themselves. It was only after they came dreadfully close in “losing it all” in 1739, through an invasion by Cardinal Alberni, Papal Legate of Romagna, did the people of San Marino shake off their apathy and find a renewed interest in the pride of their republic. It also kindled a new awareness of how fragile freedom, one’s own sovereignty actually is. That, in part, explains why the people of San Marino want nothing to do with the European Union. They, like Norway and the Swiss are free to benefit from a close relationship to the neighboring states, but are free to dictate their own laws and rules and immigration policies. 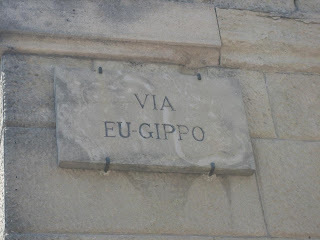 The people of San Marino know that too much EU, spells Gippo at the end of the day. Maybe the history of the people of San Marino, really does have something to tell us Europeans during this present age. In order to find our proper footing in the present, we must constantly revisit the past, and ponder what it would be like to lose something that was dearly treasured by past generations. We can’t afford to allow an undemocratic mindset to set up parallel societies in our midst, and then slowy but surely, colonize us. Perhaps we need to look more to the hills of San Marino for some needed inspiration, because much of the rest of Europe -outside a few enclaves- are presently not very inspiring… at all. Previous Post Previous Post Diana West: A Swiss “Extremist” Against Islamic Law……. Next Post Next Post Historical Lesson Time: When Will The West Ever Learn……?